India is the second most populated country in the world, and fast catching up with China. That is perhaps one of the reasons why crowds are seen frequently in India. It doesn't take much to collect a crowd, be it a gathering, a protest, a procession, a celebration, or simply people gawking. In fact, celebrating festivals or private functions in public has become the norm. 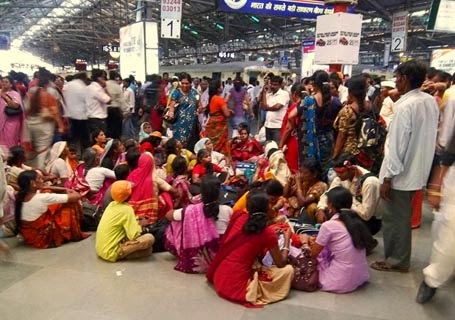 Here is a crowd of women at a railway station. They have gathered here for a purpose. Rows of people on a Mumbai street. 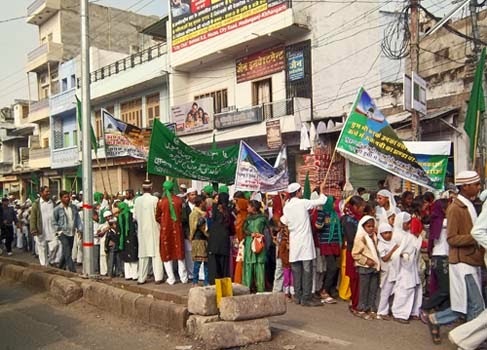 Green banners in Urdu could mean that this procession has a religious meaning regarding Islam for example during a religious festival. At least they are not blocking the road. 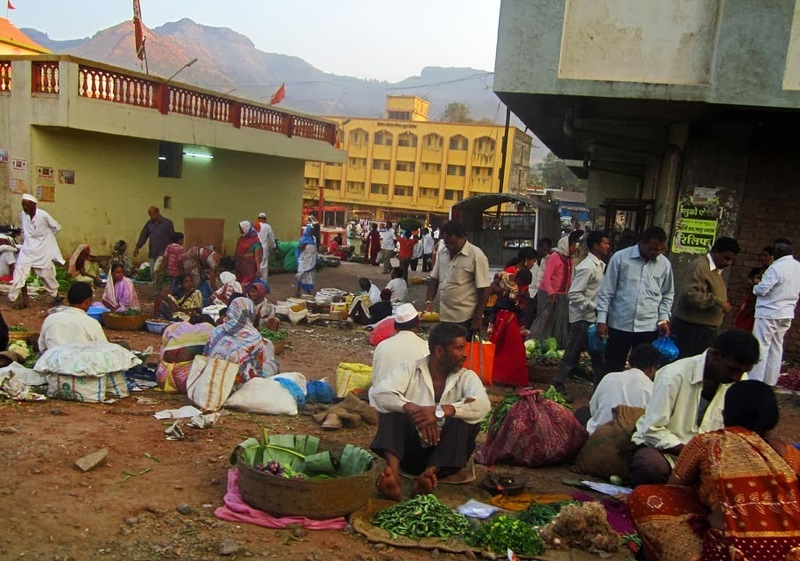 This photograph depicts a marketplace in an Indian village. People are yet to gather in large crowds. By midday it will be difficult to walk through the crowds. A crowd collected here because of a road accident. This crowd will only get bigger as an argument is going on. Unless the police are called. 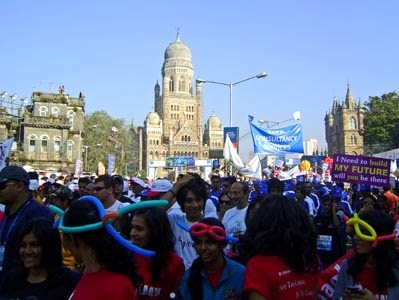 Crowds at the Mumbai Marathon. 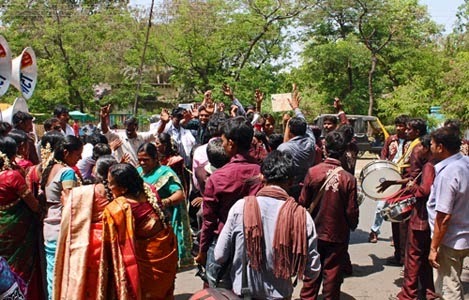 People celebrating a wedding on the streets. Dancing to a band. 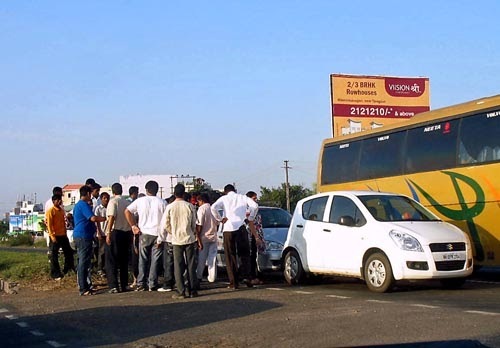 This is very common in India and often blocks the traffic. Is Nirmal Lifestyle Mall dying?